Updated 9/20/2017 Cuts 246, 248. After Amitav flies off, Sasami materializes a broomstick and follows him. 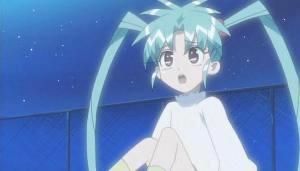 Realizing she’s in pursuit, the irritated magical entity simply stops in mid-air and Sasami, who’s unable to stop in time, rams into him, then tumbles off her broomstick onto the roof of a building. 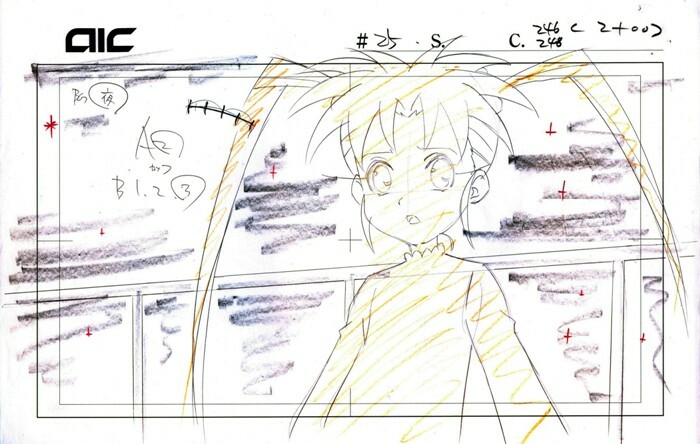 At the start of this cut, she looks up, a little disoriented by her fall, then sees her idol angrily confronting her. “So you want to seal me like the others,” he says coldly. Shocked by his fury, she first tries to explain, then simply leaps up from the ground and out of the frame to the left to embrace him. 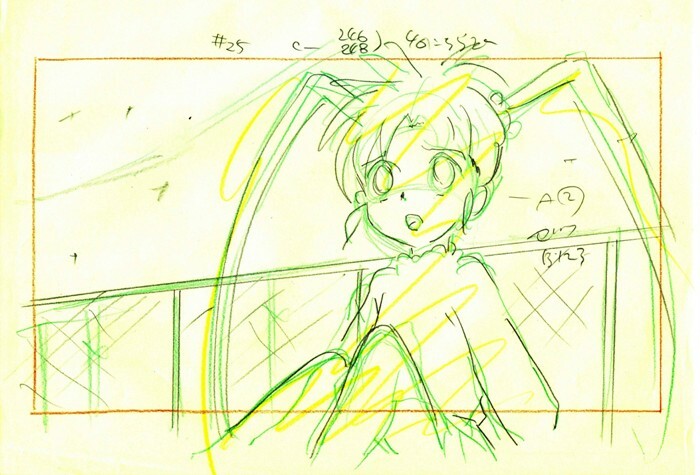 Featured above is the A2 genga, a very effective image of Sasami, doubly flustered by her fall and Amitav’s attitude. The thumbs show two earlier versions of this key, the layout and the interesting “shuusei” or layout correction on light green paper.